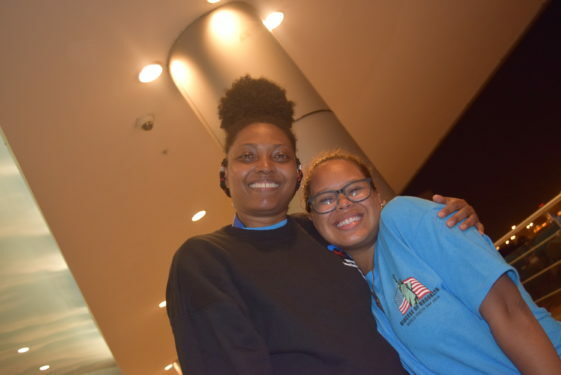 Panamanian sisters Yamitzla Reid and Yariela Reid-Thomas experienced the past two World Youth Day (WYD) events in Brazil and Poland together as a family. But it was different for their third WYD. That’s because this time, one key family member wasn’t going to be able to hear about their adventures and experiences when they returned. Their mother died about a year ago. So going to Panama was like “going home – not only for us, but for her, too,” Yariela said. For Yariela, this pilgrimage took her to the land of her birth, which she visited alongside her younger sister Yamitzla, who was born and raised in Queens. For Yamitzla, the path to Panama was paved with good intentions and a lot of financial sacrifices. 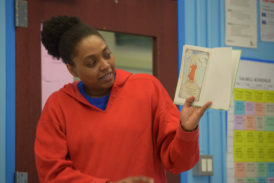 The 24-year-old college student does her best to balance her personal, professional and spiritual workloads, which includes working double shifts at a local Dollar Tree and teaching catechism to middle school students at her parish of St. Gerard Majella, Hollis. Eventually, her hard work and faith paid off. 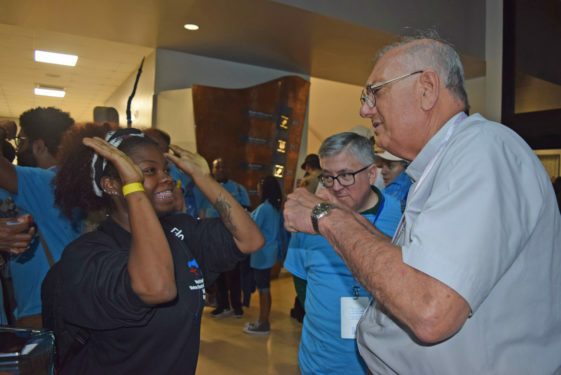 As the two Queens women waited for the bus with their fellow diocesan pilgrims in Panama City, she reflected on her journey of perseverance. 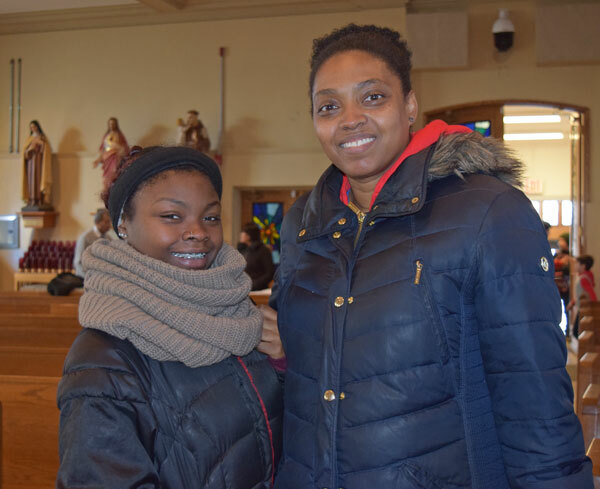 Yamitzla Reid finished teaching catechesis at St. Gerard Majella, Hollis, right before she had to work a double shift at a local Queens store in order to help raise funds for her trip to Panama. 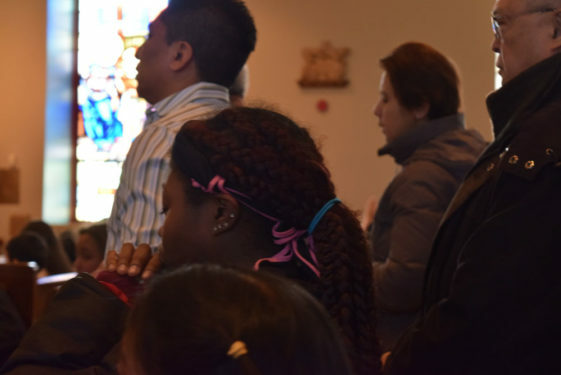 Less than two weeks before the trip, at the pre-departure meeting in Douglaston, Yariela sat in the back row by herself, awaiting the directions that diocesan pilgrimage director Father Gerard Sauer was giving the crowd about their upcoming journey to Panama. Yamitzla would have liked to have been at her older sister’s side. Instead, she was working a double shift at her job at a local Dollar Tree store. 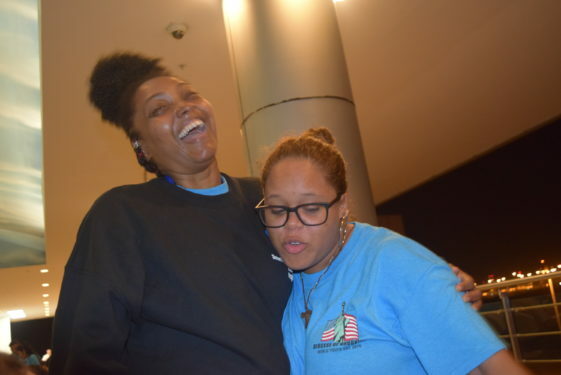 She would add her wages to the funds she’d already received from her sister and church community to further cover the cost of the pilgrimage, which totaled more than $3,000 for those traveling with the diocesan contingent. “St. Gerard (parish) helped me in the past and they helped me go to Ireland,” said Yamitzla, who attended the World Meeting of Families in Dublin last year. 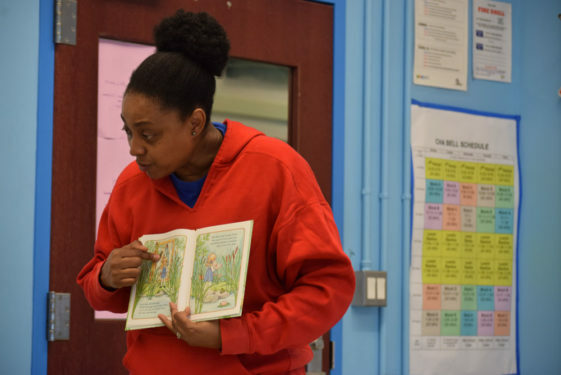 To help pay for Panama, she put in up to 40 hours a week at work, and also picked up odd jobs, like babysitting in the Bronx and teaching dance classes. 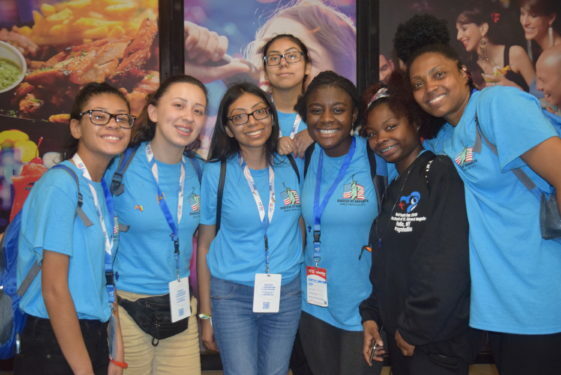 For Yamitzla and Yariela, who come from a family of eight, their cultural roots reflect an identity built upon faith, family, hard work and sacrifices for the greater good – aspects they hope pilgrims to their home country will take with them after attending World Youth Day. “I love Panama,” said Yariela, who migrated to the U.S. with her family when she was a child. The second-grade teacher at SS. 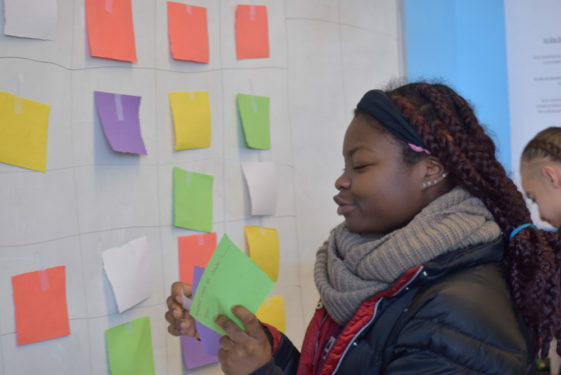 Joachim and Anne Catholic Academy in Queens Village recalled some of her favorite childhood memories. While the sisters’ immediate family is spread across New York City, a longtime connection to their faith community not only made Queens the place they call home, but also solidified an extended family connected in love for Jesus Christ. Yariela Reid-Thomas commutes from the Bronx in order to help teach Sunday school at St. Gerard Majella, Hollis. Thomas said teaching the children about Jesus is the best part about teaching. 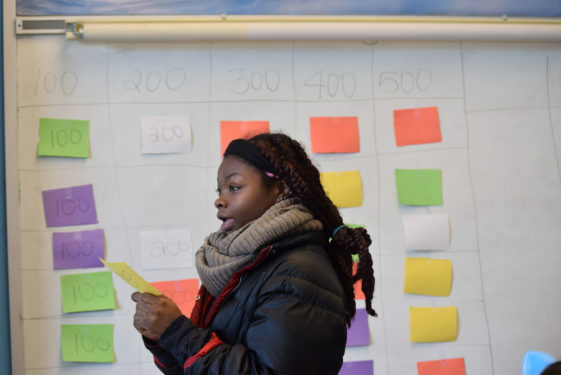 Yariela not only teaches in Queens during the week, but she also commutes from the Bronx every Sunday to volunteer as a catechist at her Hollis parish, just like her younger sister. 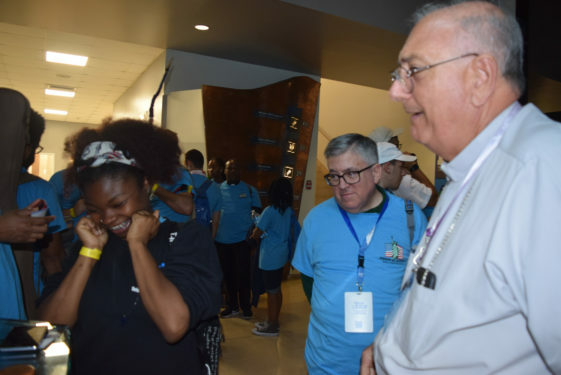 She caught up with some of her former students in Panama during a dinner with Bishop Nicholas DiMarzio at the Panama Canal. Yet, as much as Yamitzla was very involved with her home parish as a young adult – joining her mother at Mass, going to Catholic school and even attending previous WYDs – her personal journey was more cookie-cutter Catholic and going through the motions out of duty, rather than a personal desire to grow in her faith. 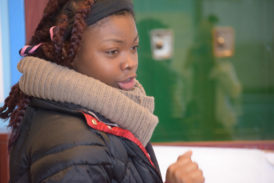 Yamitzla said she harbored a lot of anger as a young teen during some of her lowest points in her life. How does reluctance for the Church transform into a burning desire to learn and give more? A mother’s love and prayers. Anamaria Reid Boles raised her six children in a household surrounded by the love of family and centered on the love of Christ. Toward the end of her life, she had one more wish: for her beloved daughters to go back to Panama. Sitting in two different pews of the Hollis church that their mother also called home since the late ’70s, they both held a firm conviction that the foundation of their family goes beyond church walls, but to the universal Church whose home is within the heart of every brother and sister in Christ. For a moment, Anamaria’s youngest child looked at her eldest. 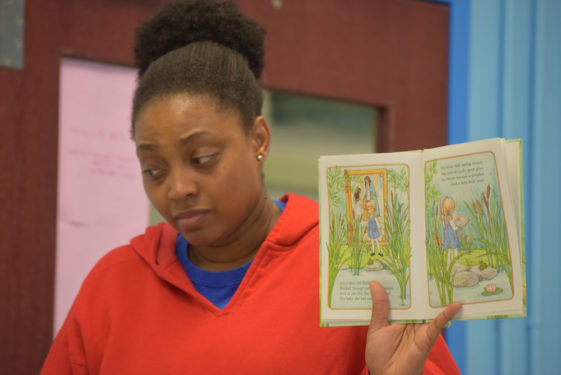 “I’m happy that she didn’t give up on me and I’m happy that she consistently prayed and she kept on the path that she did because she saw something in me that I didn’t see in myself,” Yamitzla said. The Reid sisters enjoyed spending time at World Youth Day with their community and “family” from SS. Joachim and Anne, Queens Village. Msgr. 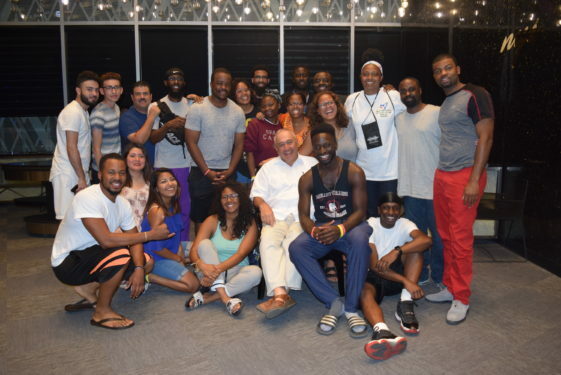 Joseph Malagreca, pastor of Holy Cross Church, Flatbush, and coordinator of the diocesan Haitian and Hispanic Charismatic Renewal Renewal, hangs out with his fellow pilgrims.